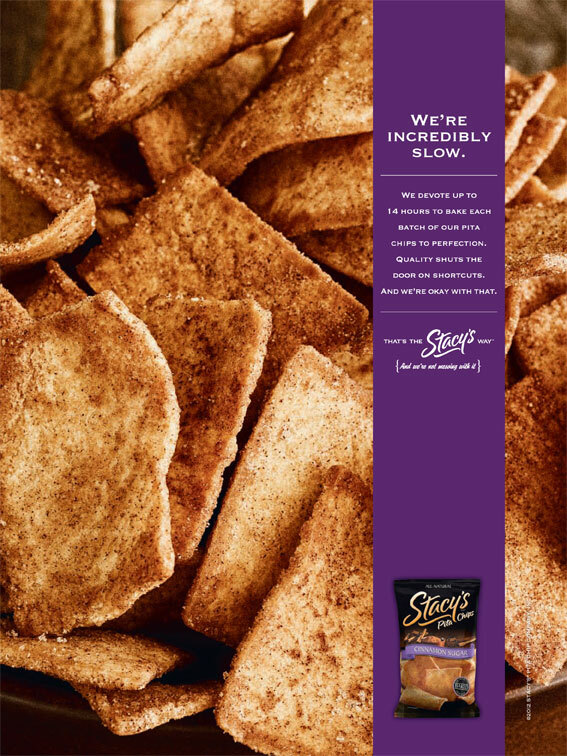 Stacy's Chips is a small, quirky company within the larger Frito-Lay empire. From the people who work in marketing to the folks at the factory, it's a special culture driven by passion for the process and a commitment to doing things the right way, even if it is inefficient or slow. 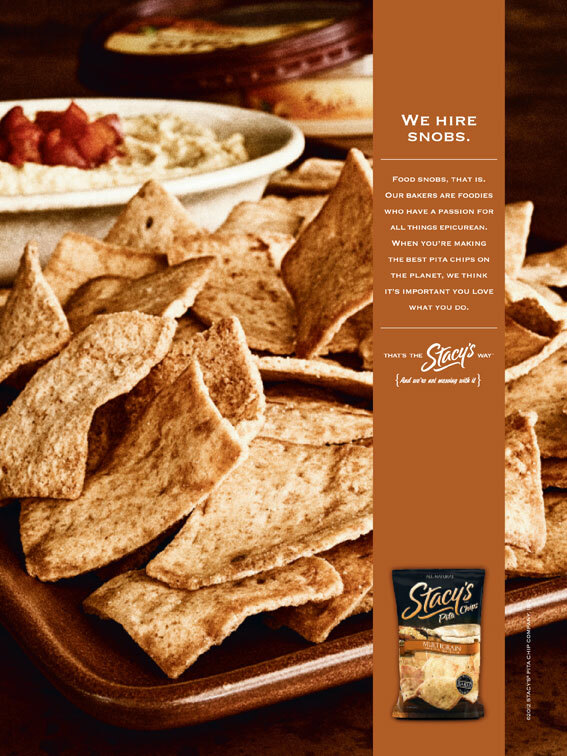 We were inspired by their moxie and confidence and created a campaign that brought that to the forefront.